Sprucing up the house for Fall is actually a lot of fun! 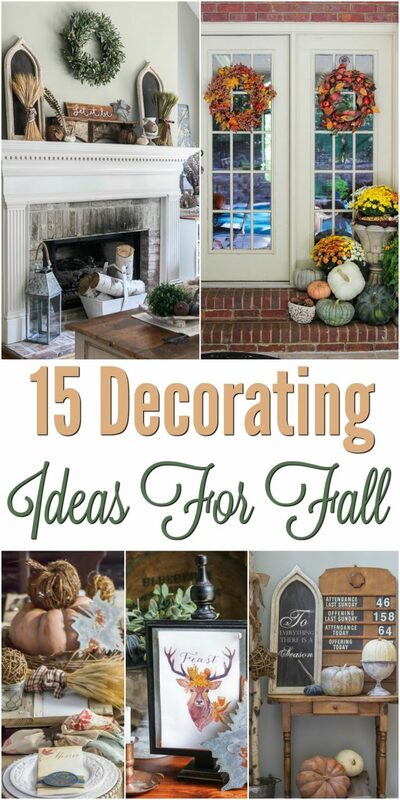 Here are 15 fun decorating ideas for Fall that would look amazing in any home! Hey, Christmas? You gonna have to wait a minute. We’re still in turkey mode up in here. You guys all know how much I love Fall. It’s just one of those times each and every year that I truly get giddy about. Maybe it’s the pumpkins…maybe it’s the beautiful leaves changing colors…or maybe it’s the fact that it’s just the perfect temperature so that the birds are still outdoors singing and the bugs have all gone away. 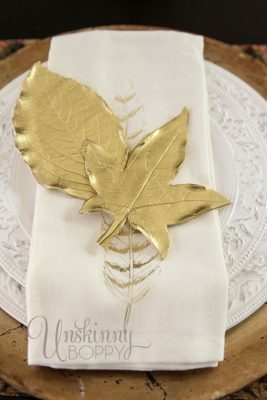 Whatever my reasoning, I literally cannot wait to decorate my home with Fall decor. Each and every year, I try to up the game a bit as well. (Can you blame me?! I’m a blogger so my Fall decor stockpile is pretty big!) And honestly, every part of the house and yard is fair game. 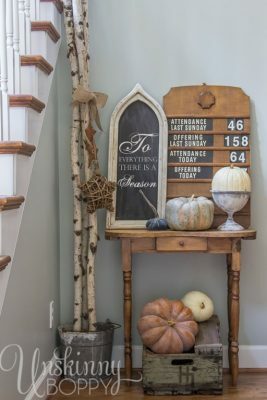 I love creating a beautiful Fall scene on the inside of my home and then letting those creative decorating juices flow right out the front door to the porch. If there is space available, you can bet that it’s gonna get decorated! 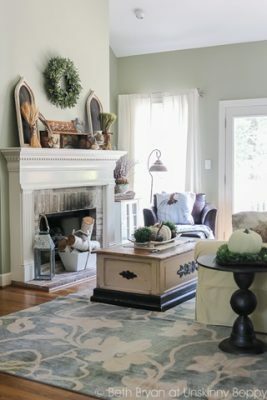 This year, why not use some of my decorating tips and ideas from the past to make your home festive for Fall? The more Fall decorations, the better! 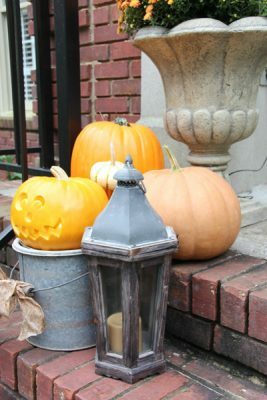 As you can see, I have no shortage of Fall decorating ideas that I’m ecstatic to share with you! So, what do you think? Can you envision your home fully decked out and ready for Fall? 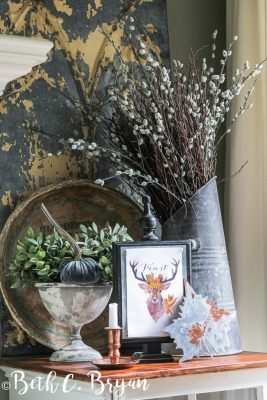 Even by just implementing a few of these fun Fall decor ideas, your home will be festive and perfect in no time! 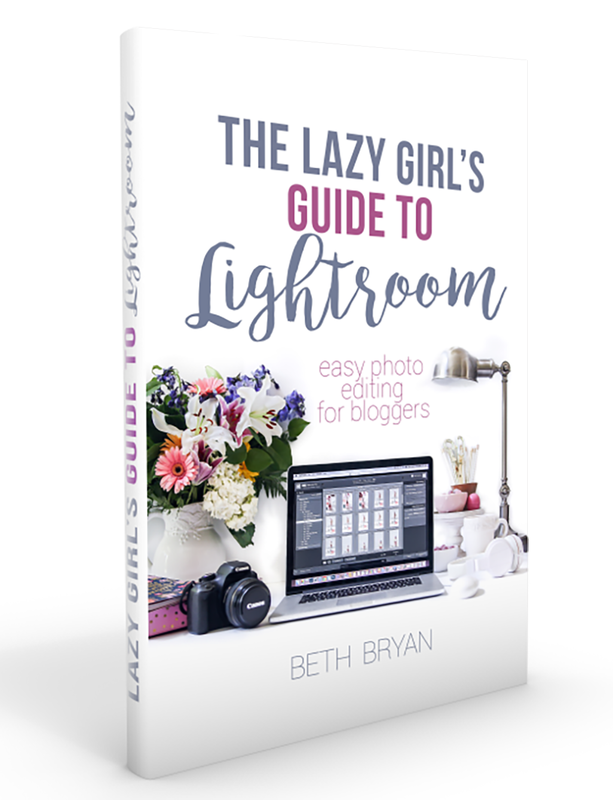 And just between you and me…I’m already gathering even more great ideas to add to my collection for next year! One can never have too many holiday and seasonal decorations, right? 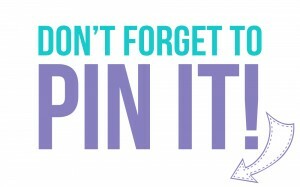 I agree with that believe 100%!